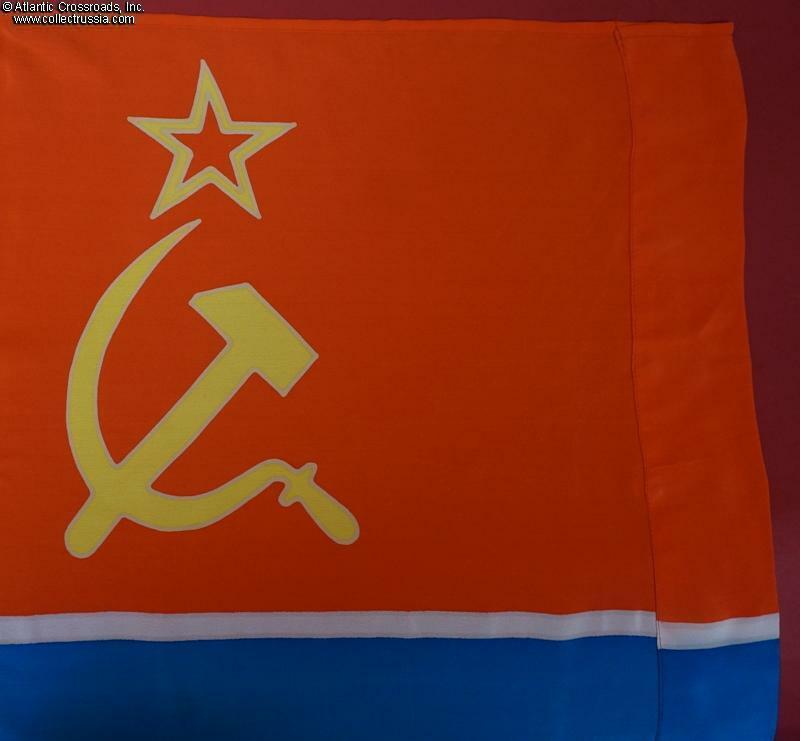 National Flag of Uzbekistan Soviet Socialist Republic, circa 1980s. In synthetic silk. 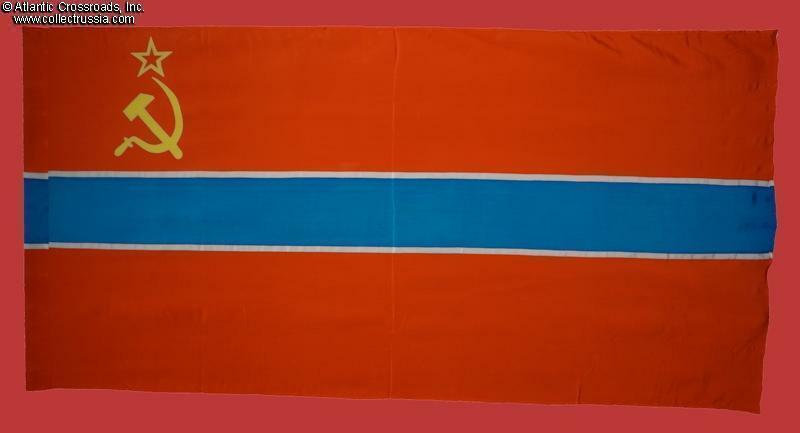 Measures 180 cm x 90 cm (about 6' by 3'). No factory label, but definitely made during the Soviet era, when Uzbekistan was still a part of the USSR. Excellent condition. Shows storage age only. With careful steaming (not direct ironing), the folds should relax and begin to disappear.